It’s Holiday party season and some of us love it and some of us would much rather be home without a bra and watching Bravo. Doesn’t matter who you are, I assume you’ll have to go to at least one party. Don’t be a lame guest, bring a memorable hostess gift. Candles are nice and so is re-gifted wine, but let’s think a bit outside the (gift) box and give that host/hostess what they want, what they really really want. 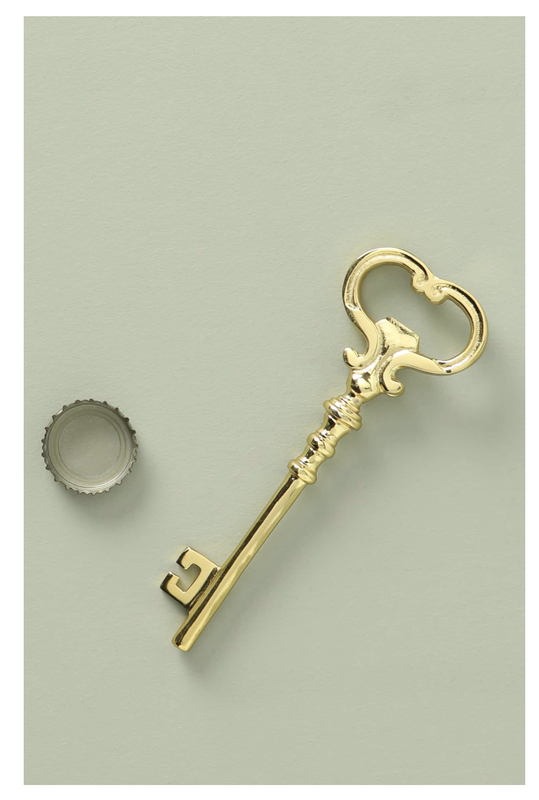 This is the coolest bottle opener I’ve ever seen and it’s super classy. At first I thought this would be an amazing option for wine on the go (you know the night walks around the block, sitting out with the neighbors or for a picnic. I have quickly realized that this is actually perfect for drinking at home. As a Mom I often am distracted and leave my wine somewhere. Now when I leave it somewhere it doesn’t get cold and plus I got the lid with the magnetic slide as well and now my kids can’t tip it over. It’s great for Moms or anyone that appreciates cold wine. I’ve been using these markers for years and on Thanksgiving I had a thought- these would be perfect for a host or hostess. They’re markers that allow you to write on a wine glass to mark your glass. Basically they replace wine charms. They wash right off the glass when you’re ready to get the marker off, but they last throughout the night. Best part is- they’re at a perfect price point for a hostess gift- $8.95 for 7 markers. Flowers are the go to gift to bring to a party, but most times a vase is left out. Why not bring a new beautiful vase that can be used again and again. This vase on Nordstrom right now is under $20! I’m not sure how long that price will last but it’s worth taking a peek and grabbing one. I know I bashed wine gifting at the beginning, but let’s be honest I would never not suggest giving wine. It’s the best gift ever and this canvas wine bag is the perfect way to dress up your gift. Have you ever seen such a fantastic dip bowl? I didn’t think so. Now that songs in my head. Just a friendly reminder to use a coaster. We’ve all got that one OCD friend that needs these for their home. The best thing to bring for a brewski loving individual is a 6 pack of beer. This beer greeting card helps dress up the standard 6 pack. So head to the liquor store and stock up on the host/hostess’ favorites or put together a 6 pack of custom favorite brews. Who doesn’t like socks? Who doesn’t like beer? Who doesn’t like socks that look like beer? I’d say the average that most anyone would spend on a hostess gift would be around $25. All the above gifts are right in that sweet spot for affordable, but still says you care. What do you bring to parties? *This blog post contains a handful of sponsored links (this means if you buy something from those links I make a tiny portion).